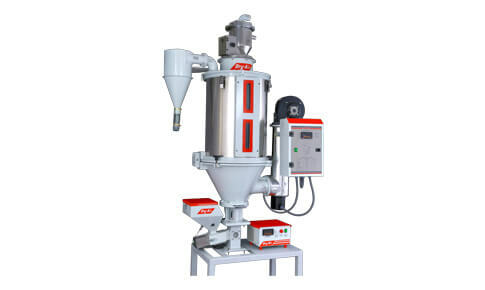 Ideal for drying non-hygroscopic resins, the Bry-Air EcoDry Hopper (Hot Air) Dryer is a compact and rugged hopper packaged with a blower, stainless steel tubular heaters and automatic temperature controller. Designed and engineered for easy handling, they are a perfect match for your plastics processing machine with the flexibility to be either be machine mounted or installed at the side of the moulding machine. 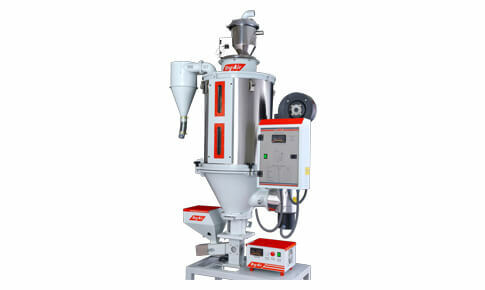 The plastics resins, to be dried, can either be loaded manually or with the Bry-Air Auto Loader. Available in 6 standard models with a capability to dry 13 to 400 kg/hr of non hygroscopic resins, they are a superior alternative to oven drying in performance, energy as well as labor inputs. 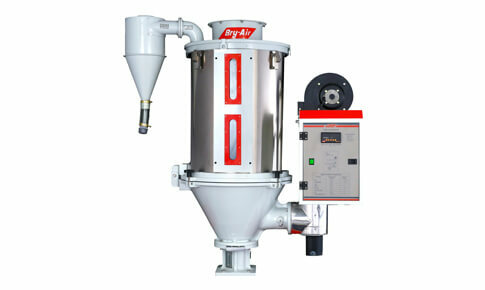 For Hot Air Dryer larger than 400 kg/hr. it is available a different series, know as HAD (L) Series. For technical specification of HAD (L) click here. Assured speedy and uniform drying, ensures numerous benefits to the molder like better surface finish, cleaner shop floor, improved quality, increased output, increased profitability, power saving and reduced material handling.